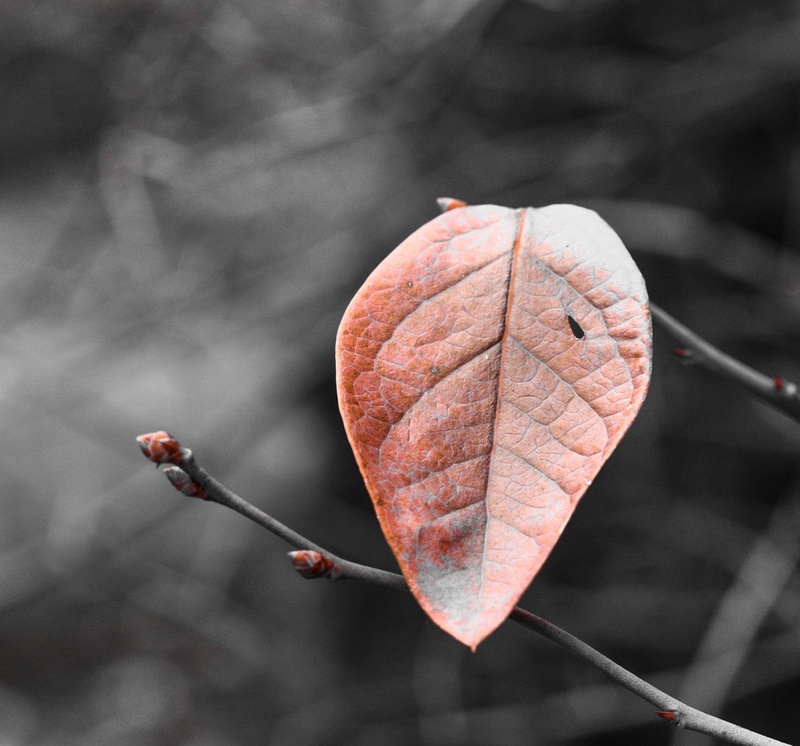 Found this lone leaf on a shrub in my brothers garden.The buds on the bare branches hold out a promise for spring.Home again.Exausted.Will catch up with you all ,my friends tomorrow. Beautiful shot and lovely color! I love the selective colouring. Really nice. Lovely selective coloring and dof. This is absolutely beautiful, you are the master of the found detail hope, I do enjoy your photography a huge amount. I love this! The selective color is perfect. Lovely combination, Hope. The leaf is so delicate in its fading state. A really lovely image. I love the tones and focus! Fabulous simple composition. Love the promise of new life! Wonderful shot! Love the SC here! Wonderful in its beautiful simplicity! Great title and love the tones and symbolism in this capture! Love this stand alone leaf, all leathery and lined, fab shot. So pretty! The leaf has a leathery quality. Great tones and textures! beautiful! love the color and dof! Lovely against the mono background. Nicely executed all round. Simplicity is just TOO beautiful! Great catch!